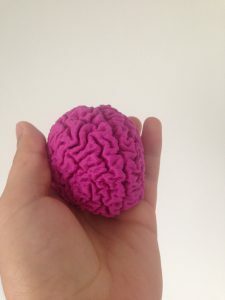 A medical concept that has truly fascinated me over the past few years is neuroplasticity, which is the idea that the brain can both heal itself and other parts of the body. It does this by building neural pathways to either rebuild the areas of the brain that are damaged, or to create new pathways entirely to create a different response to particular stimuli. One book that I have found particularly interesting is The Brain’s Way of Healing by Norman Doidge in which Doidge meets and explores the story’s behind people who have changed their life using neuroplastic techniques. One of the inspiring stories featured in the book is the phenomenon that chronic pain can be alleviated just by picturing a moving object anytime it hurts. By doing this, it is thought that new neural pathways are being built, taking the mind’s focus away from the pain and redirecting it to picturing the image instead. In this way, the pain is ‘forgotten’ and the image ‘learnt’, rather similarly to learning the correct version of a fact after you have learnt it incorrectly. Another amazing story is of a man who sufferers from Parkinson’s, which had greatly impacted his ability to walk. However, he has managed to reduce the symptoms by, ironically enough, walking more! His story was very powerful and had a great impact on me as he mentions how, at first, he had to focus very carefully on each and every movement necessary for him to take a step, which highlighted to me just how much healthy people take their movement for granted and just how much dedication this man must have put in just to be able to walk properly again. I haven’t yet finished the book, but I am eagerly anticipating delving into it more, especially the section about autism. As I have an autistic brother, it would be interesting to see if there are any techniques that could be applied to him. Although a relatively un-researched area of medicine, I believe that neuroplasticity could make a huge difference in treating those that drugs don’t seem to work on. Whilst it takes a large amount of effort, dedication and focus, I think it should be studied further and, when applicable, tried as an alternative course of treatment. To me, the brain has always been an extraordinary organ. Its complexity and range of functions, along with my keen interest in mental health (most likely due to me suffering from both depression and anxiety), has always had me researching it and discovering new areas surrounding it to focus on. Perhaps by the time I graduate, neuroplasticity will have a much more prominent position in both medicine and neuroscience, or at least be researched a lot more, but until then it’s likely to remain a fantasy-like treatment that seems more psychological than scientific. ← Why you don’t need medicine anymore!